Amy Simpson is an acquisitions editor for Moody Publishing. She’s also a former publishing executive, an award-winning author, a speaker, and a leadership coach. She has more than 20 years of experience in Christian publishing. 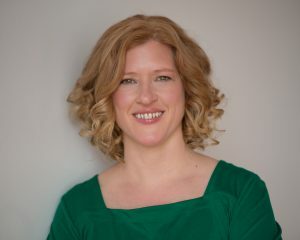 Amy holds an English degree from Trinity International University, an MBA from the University of Colorado, and CPCC certification from Coaches Training Institute. She loves to travel with her husband, Trevor, their two teenage girls, and their lovable dogs, Rosie and Sam. She lives with these wonderful folks in the suburbs of Chicago. Amy is interested in considering nonfiction books aimed at evangelical readers, particularly those aimed at producing spiritual growth in readers. One-sheets, queries, and proposals are welcome. At minimum, proposals should include summary of the book, annotated table of contents, author bio, target audience, list of comparable works, introduction, and 1 or 2 sample chapters. She is willing to consider previously self-published books. No fiction, poetry, anthology, scripts, or children’s books.